NuvoSun, a thin-film solar firm founded by former MiaSolé CEO Dave Pearce, was just acquired by Dow Chemical. Dow had invested in the firm in early 2010. According to sources close to the deal, NuvoSun is now a wholly owned subsidiary of Dow Chemical. Dow has not yet responded to our inquiries. Presumably, the NuvoSun CIGS products are destined for Dow's solar shingles, a building-integrated PV (BIPV) product that has long been promised by Dow. 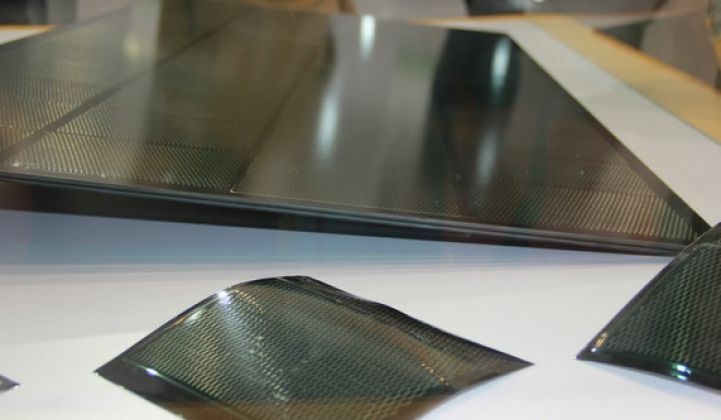 Solar shingles would seem to be a natural fit for the BIPV concept, but reliability, craft, and interconnection issues are still obstacles to widespread deployment on new or rebuilt rooftops. Dave Pearce, the CEO of NuvoSun, has spent ten years developing CIGS-based thin-film solar and has lived to tell about it. 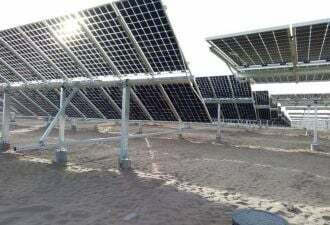 Pearce founded NuvoSun in January 2008 after parting company as CEO of MiaSolé, the thin-film solar company he founded in 2001. MiaSolé was acquired by Hanergy late last year for pennies on the dollar. Pearce has admitted that he might have over-promised and under-delivered while at MiaSolé, an error he has not made at the relatively quiet NuvoSun. Pearce has claimed that he sees a path for NuvoSun to get its costs below $0.50 per watt. Will a thin-film solar startup ever be able to get to market and commercial scale without partnering with an established manufacturing and technology company? The once sizable population of standalone CIGS aspirants continues to dwindle as companies fail or as early-stage firms are forced to consolidate with much larger partners. Solyndra $600M+ CMEA, Redpoint, Argonaut, Virgin, Rockport, USVP, et al. Nanosolar $500M MDV, Riverstone, Grazia Equity, Lone Pine, Skoll, et al. MiaSolé $400M KPCB, Vantage Point, Firelake, Garage Technology, et al. SoloPower $235M+ Convexa Capital, Crosslink Capital, Firsthand, et al. Sulfurcell $165M+ Masdar, Intel, Climate Change Capital, et al. VC investment in CIGS easily exceeds $3 billion when one includes the remaining CIGS players. At one point, we counted more than 35 firms around the globe working on CIGS or CIGS variants. But CIGS has proven to be an extremely difficult materials system: its manufacture and behavior have not yet been mastered, as evidenced by the very few CIGS firms in true commercial production. Almost every CIGS firm has experienced schedule delays, personnel shakeups, or massive re-working of processes and technological approaches. One of the gaping structural gaps in a CIGS builder's business plan is the lack of standard manufacturing tools -- for example, Applied Materials does not have a turnkey CIGS factory. This means that every CIGS player has to be an equipment builder, as well as a PV module and panel vendor. That's technically risky and a highly inefficient use of VC investor capital. Pearce noted in an earlier GTM article, "CIGS proved to be a very complex material and the reaction pathways were very difficult to figure out." NuvoSun uses a high-speed roll-to-roll sputtering process on flexible foil. The firm's secret CIGS sauce is a precursor, post-selenization process that it combines with chemical plating. In this, the copper, indium and gallium are deposited in a fairly cold process. Selenium is added in a later high-temperature process. "The two-step process gives you more individual control. CIGS is all about determining the right reaction pathways," Pearce told us in an earlier interview. "You can form all sorts of subspecies you don't want." There is a long list of strategics that might want a solar partner: oil companies, Samsung, Intel, or Siemens. DuPont acquired silicon ink startup Innovalight in 2011. As always, it comes down to price-per-watt and LCOE, and NuvoSun still has to prove it can compete with First Solar and Yingli on those performance metrics while making a sustainable margin as PV prices continue to drop. Bankability is another issue -- and NuvoSun certainly has that with the backing of the century-old Dow.